No stranger to friction in his home town, Miscellaneous shakes things up in Memphis once again. This time around, shots fired towards his former CEO Lil Wyte of “Wyte Music” in new “Back to Back” record where he speaks of allegations of owed money & expresses his anger about his debut album “Broke & Famous” which was to drop Spring 2015 & has yet to released more than 4 months later. Know who you’re dealing with; do not offend the wrong person. Stay posted to BetasBlock.Com for updates and possible resolution to this situation. Long Beach native Vince Staple’s releases his latest track from the upcoming project “Summertime 06” “Norf Norf” 8 days before his album. Nothing like Project Pat’s Norf Norf if that’s what you thinking but, like Pat of the project’s reps Norf Memhpis, V. Staples reps the Norfside of Long Beach and you here references of the Norfside through out the song & describes life in his section of his city. If this is your 1st time listening to the XXL 2015 Freshman and are looking for more music before the album drops click here for Shyne Cold Chain V. 1 from Vince Staples. 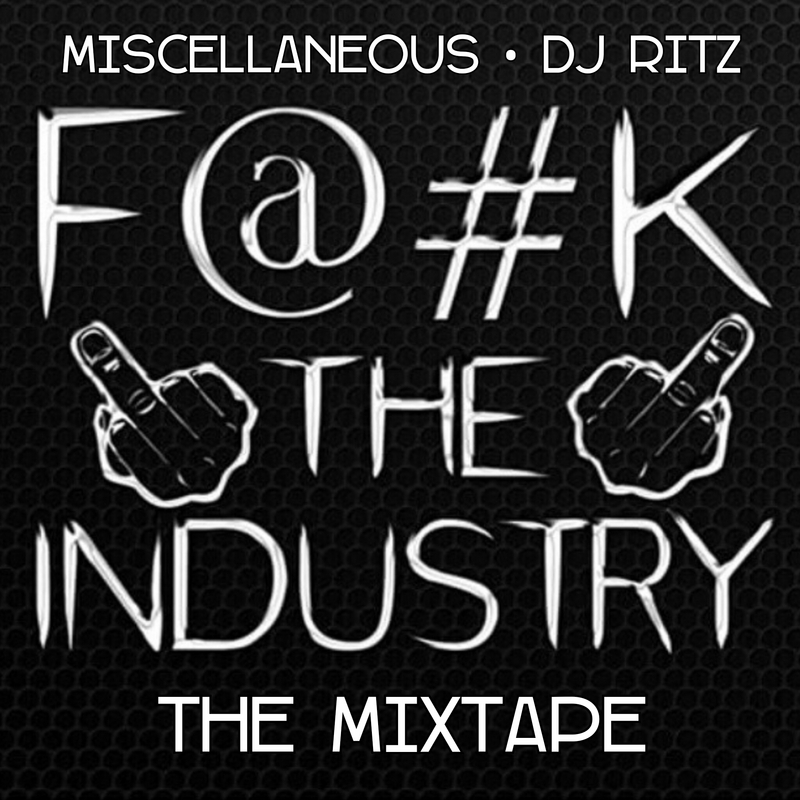 2015 SCM Award for Lyricist Of The Year Miscellaneous says “F@#K the Industry” and drops a new mixtape with 13 Tracks of summer heat, hosted by Dj Ritz. Check out the latest music from Miscellaneous, Wyte Music’s Wild Card now, click here to listen to “F@#K the Industry.” The mixtape includes features one the the industrys leading producers Drumma Boy, it also features Dirty Rd, T Real, Ardie, Tre G.
Whobeta’s Studio 618 interview with Miscellaneous speaks on his younger, wilder hip hop days, looking for exposure from hole in the wall clubs to the biggest clubs in Memphis with his single “Memphis Walk” a couple years back,including a few altercations with radio djs who didn’t spin his record. Fast forward to 2013 to the present Miscellaneous can now be heard on one of the biggest hip hop outlets in Memphis every Wednesday from 7p-12a and now knows more effective less violent ways to conduct radio business and build relationships. 2014 was a stellar year for rising Memphis rap artist Miscellaneous, from releasing his short film”Dude Wheres My Gar,” to the many awards, and award nominations from award shows through out the south, and starting his own label, where he is currently looking for new talented artist and producers. Riding the success of his 2014 accomplishments Miscellaneous is expecting to release his newest project titled “Broke and Famous,” in the 1st quarter of 2015, and released the 1st visuals for the project December 16th, for a song titled “F@#k the Industry,” which gathered more than 17,000 views on top rap site Worldstarhiphop.com and less than 24 hours, and over 5,000 views on youtube with in the same time period. This single, speaks on the behind the scene politics that frustrate many artist have while trying to become the next rising star, touching on pay to play with radio and club djs, 360 contracts and more sensitive topics for hip hop artist, as he echo’s “I ain’t no hoe,” through out the video. The video, shot by Yawn Filmz, features cameo’s from some of Memphis most legendary artist including La Chat, Lil Wyte, & Oscar winning artist Frayser Boy to name a few, and apparel from http://www.successovereverythingclothing.com/ including to of the hats he wore in the video, as well as at least 2 shirts.